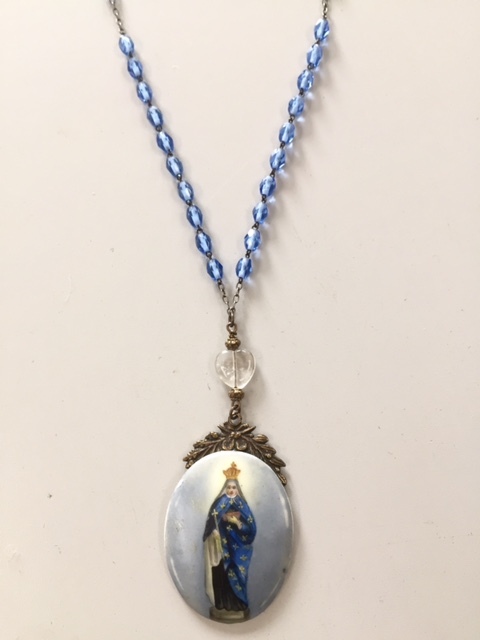 A remarkable antique C1890 Painted Porcelain Virgin Mary Pendant Necklace, mounted on antique Blue Glass Beads finished with a rare link chain. 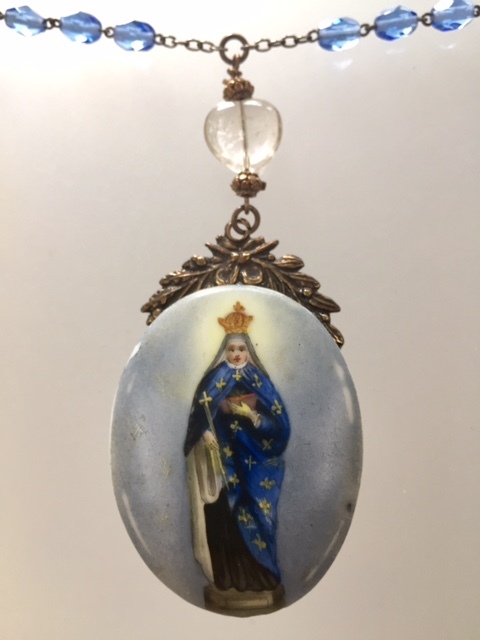 The Beads accent the pendant well and set the piece in Old World Style. A Romantic piece to adorn with pride! Necklace measures 29-30" and pendant is 2" tall by 1 3/8" W.